In a desperate bid to arrest tumbling box rates on the transpacific trade, lines are attempting to set minimum floor rates. 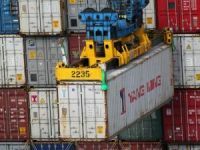 Following a series of unsuccessful measures by the Transpacific Stabilisation Agreement to stem the slide in container freight rates on the Asia?US trade, members are now making a voluntary bid to set a floor level. 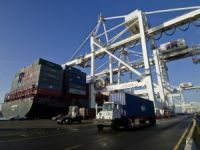 Less than a month after saying lines would increase freight rates by $500 to $600 per feu on the trade, TSA has now set out voluntary minimum rates of $1,350 per feu from Asia to the US west coast and $2,500 per feu to the US east coast. An additional $100 per feu is recommended for hi-cube containers. ?The minimum levels TSA lines intend to establish individually are well below where rates were this time last year, and in many instances below carriers" expectations for cost recovery, let alone profitability,? said TSA administrator Brian Conrad. TSA aims for the floor rates to be applied to all new contracts not yet concluded, and spot rates which should be expired with 30 days notice not later than May 15. The floor rate levels are roughly the same as that which shippers were reported to be paying for spot rates from Hong Kong to the US west coast in December last year. 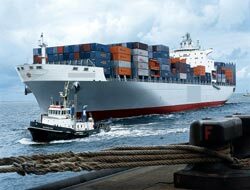 The continued drop in already unprofitable spot freight rates has come at a critical time for the trade as lines are negotiating new long term contracts for 2009/2010 starting from May 1. ?The unnecessary panic mentality that set in during the winter months will cost this industry heavily if the rates we have been seeing continue to slide and are locked in over a period of months in new contracts,? said Mr Conrad. It remains to be seen if the TSA will enjoy any success, with previous efforts to stabalise rates having fallen on deaf ears. 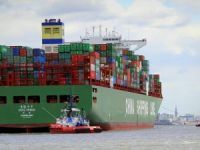 TSA said that shipping companies now faced a stark choice between pricing their services at minimal sustainable levels or seeing massives losses over the next 12 months that will threaten their finanicial viability. The possibility of some lines failing is growing, given their continued huge losses. 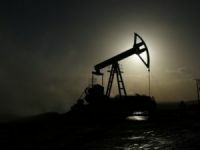 ?The industry could well see more dramatic events play out if there is not a more responsible reaction to this extraordinary market condition. 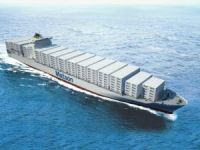 It is certainly not in the interest of the shipping community broadly to have significant failures impact a major market like the transpacific,? TSA said. 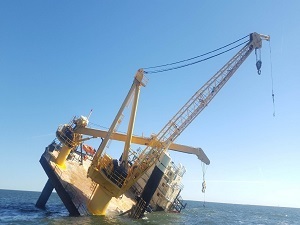 TSA is also aiming for all contracts to include a full floating bunker surcharge and Mr Conrad noted that in the coming year it was likely that bunker and inland fuel rates would increase.